Or at least, those aspiring to be watermelon wizards. How cool of a superpower would it be if you could just make a watermelon appear out of thin air? I have to think that would be fun…but also potentially dangerous for innocent bystanders. Anywho, I’m writing to you today with a refreshing summer treat–one that’s MEGA simple to prepare, just the right balance of savory and sweet, and perfect for summer gatherings. This combination simply makes sense–so much so that I like to call it the PB&J of the salad world. Watermelon is an excellent source of water (each melon is about 92% water, to be exact!). 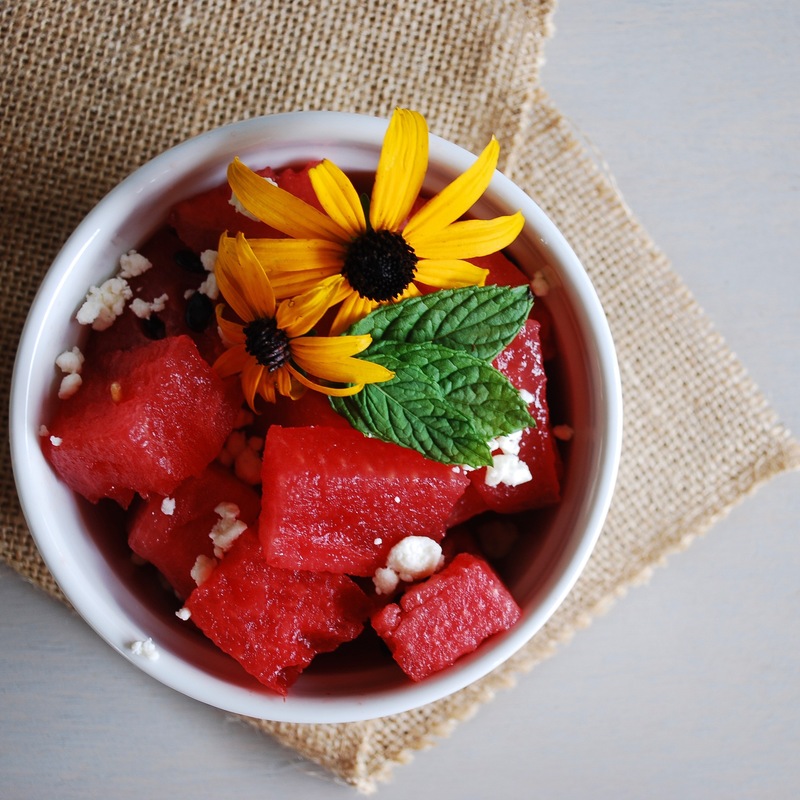 In fact, I often joke by saying that having a bowl of watermelon is a good way to “eat your water!” Watermelon snacks are a great, delicious way to stay up on your hydration game in the summer heat. One serving of watermelon is defined as about two cups, each serving containing a healthy dose of beta carotene, Vitamin B6, and Vitamin C1. Beta carotene: A red-orange colored pigment found in fruits and vegetables. It is a precursor to Vitamin A (sometimes referred to as provitamin A) and can be utilized by the body to make vitamin A once ingested. Vitamin A is an essential fat-soluble vitamin, and it’s important for maintaining a healthy immune system, strong skin, and healthy eyesight2. Fat-soluble vitamins are best utilized by the body in the presence of a fat (makes sense, right?). That’s why a little sprinkle of feta in this recipe works for reasons beyond just taste! Vitamin B6: An essential B vitamin that aids in red blood cell formation, proper brain development + function, and protein metabolism. Vitamin C: An essential, water-soluble vitamin needed for healthy immune function, strong skin, and accelerated wound healing. Vitamin C is also an antioxidant vitamin, meaning that it has the potential to protect healthy cells from the oxidative damage free radicals (the bad guys). Watermelon is also a great source of lycopene. Lycopene is another carotenoid pigment found in red fruits & veggies. Recent studies indicate its potential in helping to reduce the risk of certain cancers and cardiovascular disease3. Woohoo! P.S. I’ve yet to determine if a melon will sprout in my stomach if I eat enough watermelon seeds. 23 years and no signs of growth yet–but who’s to say what the future might hold. Watermelon Board | Health 101. Watermelon Board | Use The Whole Watermelon. 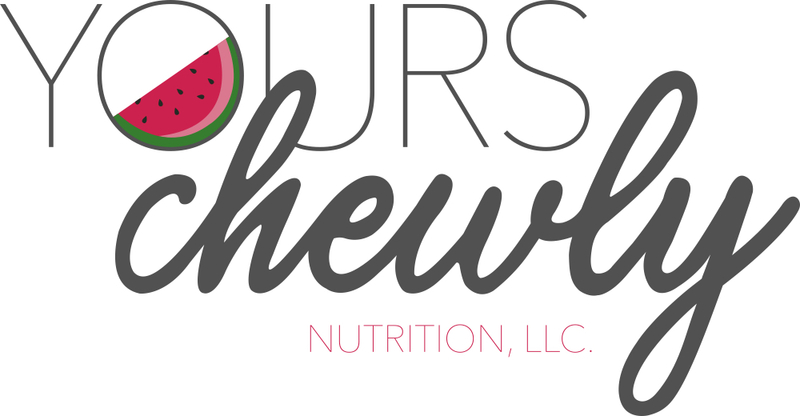 https://www.watermelon.org/Nutrition/Health-101. Accessed July 18, 2018. Gilbert C. Advances in pediatrics. https://www.ncbi.nlm.nih.gov/pmc/articles/PMC3936685/. Published 2013. Accessed July 18, 2018. Story EN, Kopec RE, Schwartz SJ, Harris GK. Advances in pediatrics. https://www.ncbi.nlm.nih.gov/pmc/articles/PMC3850026/. Published 2010. Accessed July 18, 2018. Cube the watermelon and place in a large mixing bowl. Squeeze 1/2 of a fresh lime into the bowl and stir to lightly and evenly coat watermelon cubes. Sprinkle in feta cheese and gently fold to incorporate. Dish into small serving bowls and garnish with fresh mint, if desired.